Each custom catering package selection will differ from the rest. To provide you with the very best value, DeRango Custom Catering will provide you with custom-pricing for your customized catering package. 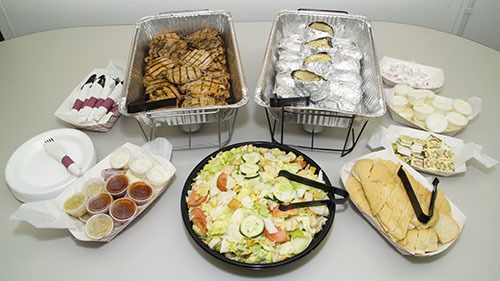 Our catering menu offers a wide variety of selections in several categories, and you may choose as many or as few selections as you wish. From a "Pizza Party" to a "Buffet Dinner," the choices are all yours, and if you don't see it on the menu - Just ask! 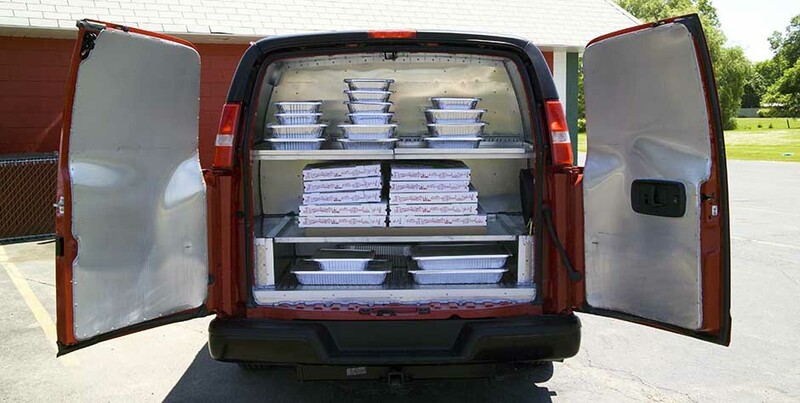 Your meal is delivered fast and fresh in our state-of-the-art, oven-equipped catering van.